BEAUMONT, Texas — June 1, 2017 – Jason’s Deli and The University of Texas MD Anderson Cancer Center proudly introduce the new Salmon Pacifica Salad as part of an ongoing alliance to raise money to help end cancer for patients and families around the world. 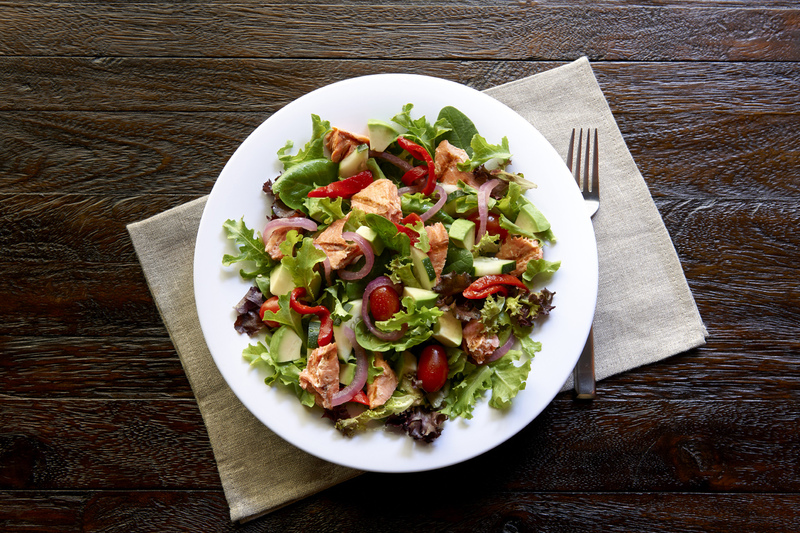 Now through April 2018, 50 cents from the sale of every Salmon Pacifica Salad at participating Jason’s Deli restaurants will be donated to MD Anderson to support cancer prevention research and programs. 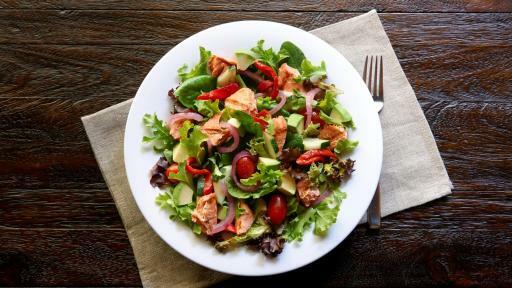 Created by the restaurant chain’s chefs in collaboration with MD Anderson dietitians and cancer prevention researchers, the Salmon Pacifica Salad was designed as a convenient and healthy dining option in accordance with the American Institute of Cancer Research and World Research Fund guidelines for cancer risk reduction. 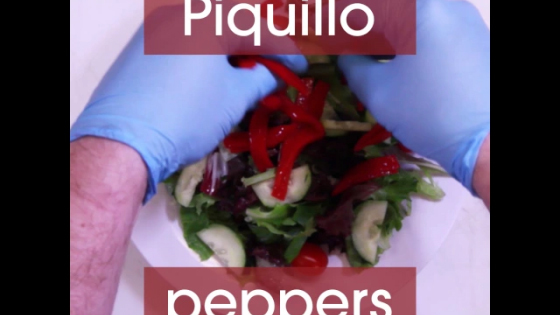 At only 450 calories, the Salmon Pacifica Salad includes a combination of nutrient-rich ingredients, including wild-caught Alaska sockeye salmon served on USDA-certified organic field greens topped with fresh-chopped avocado, grape tomatoes, fire-roasted Piquillo peppers, cucumbers, pickled red onions, and all-new homemade cucumber-dill vinaigrette. The alliance was originally launched in 2013 after several Jason’s Deli employees and their family members rebounded from cancer thanks to the care and expertise provided by MD Anderson. Since then Jason’s Deli has donated more than $726,000 to the world-renowned cancer center. 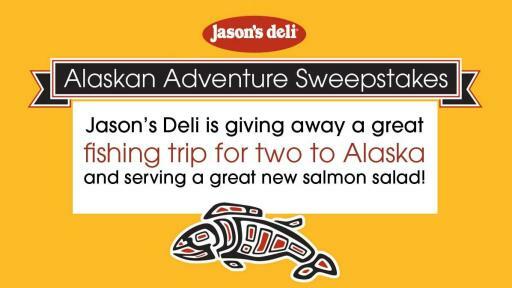 Jason’s Deli is celebrating National Cancer Survivors Month in June by teaming with its wild-caught Alaska salmon provider Trident Seafoods to offer customers the chance to win an all-expenses paid Alaskan Adventure fishing trip for two on August 10-12, 2017. 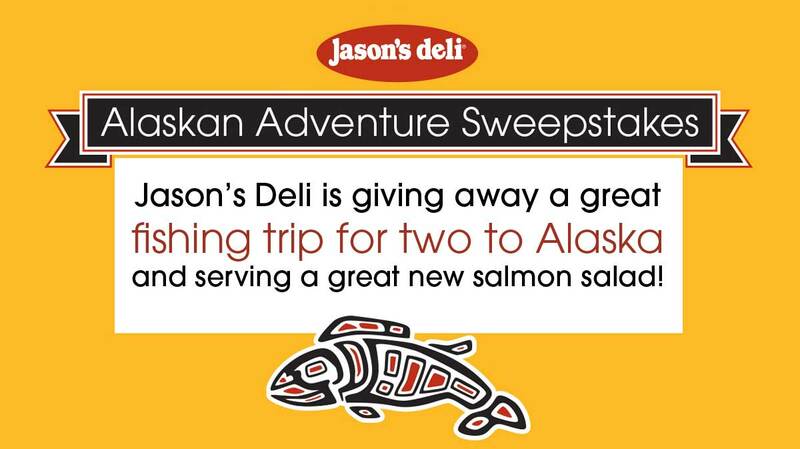 Through the end of June, guests at participating Jason’s Deli restaurants can enter the trip giveaway and a chance to win a $10 gift card by texting the keyword SALMON to 35350 and then entering the daily code displayed on signage in the restaurant. One winner will be chosen for the trip at the end of the month. A family-owned deli restaurant chain, Jason’s Deli was founded in Beaumont, Texas, in 1976 by Joe Tortorice Jr. and now has 260+ locations in 29 states. In 2005, Jason's Deli was the first major restaurant concept to ban artificial trans fats in the U.S. and later became the first to eliminate high-fructose corn syrup. Since then the chain also has removed dyes, artificial flavors and artificial MSG from its food. 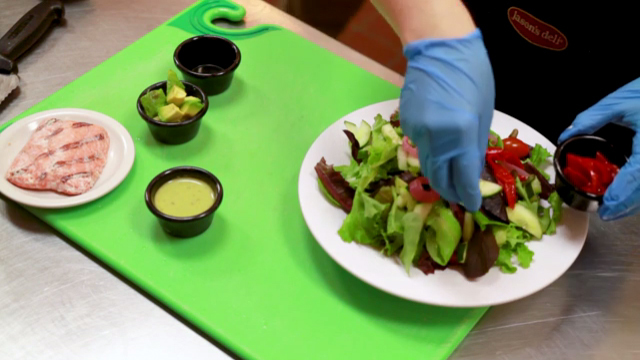 Jason’s Deli restaurants offer a variety of menu items to accommodate many dietary needs. The menu features gluten-sensitive items, vegetarian and vegan options, healthy kids’ meals, and the chain’s famous salad bar with more than 50 ingredients. In 2016, Jason’s Deli was No. 2 on QSR Magazine’s ranking of the most profitable restaurant chains in the U.S. For more information, please visit www.jasonsdeli.com. The University of Texas MD Anderson Cancer Center in Houston ranks as one of the world's most respected centers focused on cancer patient care, research, education and prevention. Founded in 1973 and based in Seattle, Trident Seafoods is a vertically integrated harvester, processor and marketer of seafood from Alaska, the Pacific Northwest and around the world, please visit http://www.tridentseafoods.com/Our-Story.